Learn the best way to cook salmon on the grill and it will quickly become a favorite meal at your house. Hubs and I have made this grilled salmon many, many times and love it. We will throw some salmon on the grill even if it’s 30 degrees outside. It’s that good…and good for you too! Read on to learn how to cook salmon on the grill. 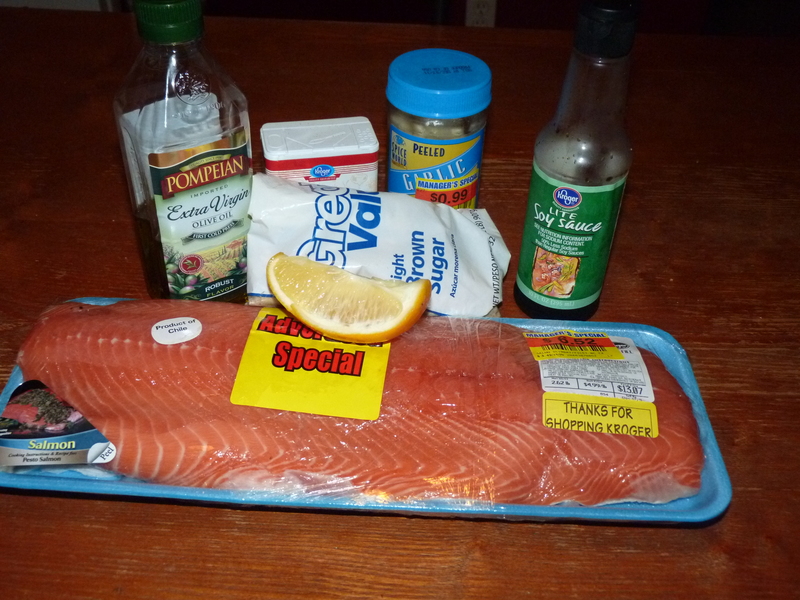 Combine all ingredients except for the salmon itself in a gallon zipper bag. Add the salmon filet and turn to coat. Marinate in the refrigerator for at least 2 hours. 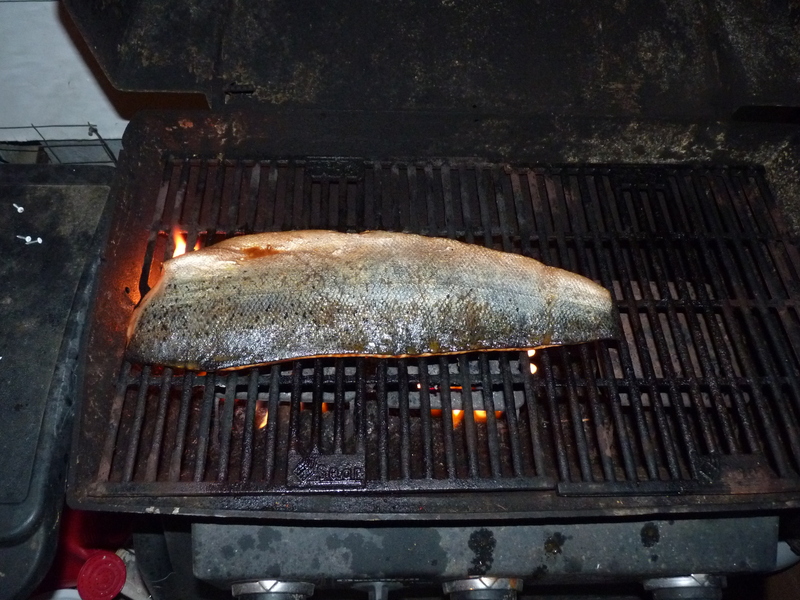 Heat your gas grill to medium heat and spray the grate (not the fish itself, but the grate) with cooking spray. Grill salmon flesh side down first* for about 6 minutes. This will vary somewhat depending on the thickness of your filet, but 6 minutes per side is a good general guideline. 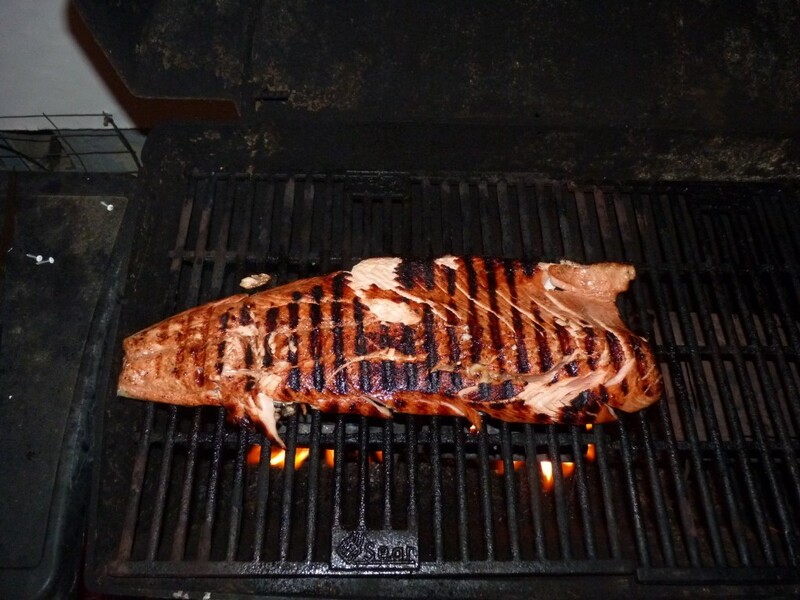 *Grilling salmon flesh side down (skin side up) is key. Cooking the skin last allows the salmon fillet to hold together during the cooking process instead of falling to pieces when you try to flip it. It also helps keep the flesh from drying out. 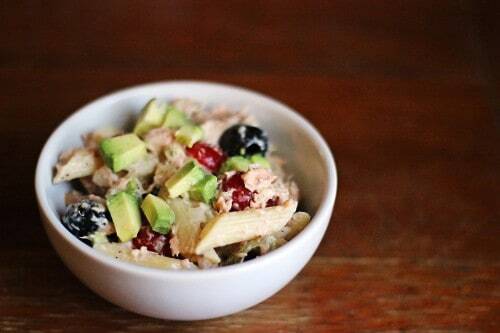 This turns out so yummy including the skin! It’s the best way to cook salmon on the grill that we’ve tried. I troll the meat department at Kroger weekly looking for salmon fillets that are at their sell-by date. 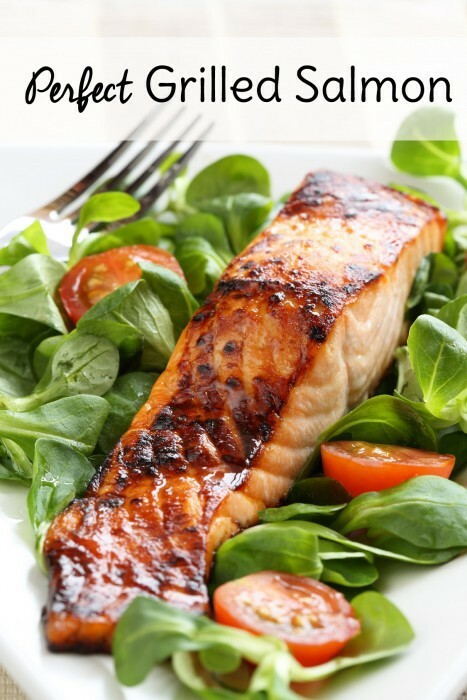 This allows us to enjoy our grilled salmon recipe a couple of times per month. I hope you like it as much as we do! The gas grill used in the photos above has seen better days so we recently upgraded. Since we have a tiny porch (tiny house, tiny everything!) 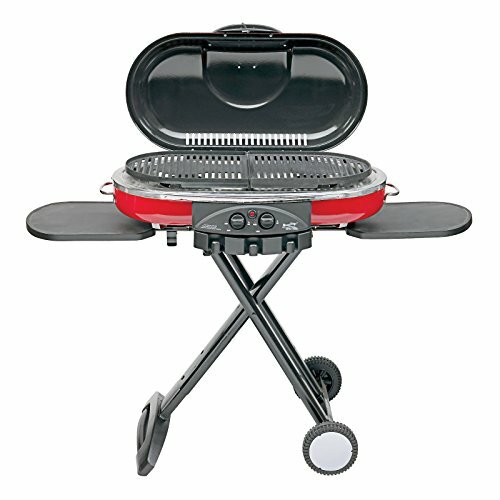 we opted for this gas grill model and have been happily using it for the last year. It’s compact and portable but still gets the job done. Highly recommend! Now that you’ve learned the best way to cook salmon on the grill, you probably won’t have any leftovers, but just in case…if you need a good leftover grilled salmon recipe, try my Southwest Salmon Salad for lunch the next day.